Every employer is responsible for first aid in the workplace. Before you put any first aid measures in place, you need to carry out an assessment of your workplace. Once you have done this, you can go ahead and put proper first aid measures in place. Below are some of the steps you should take to achieve the best first aid program in your workplace. The first step is to identify the number of workplaces under your jurisdiction. If you have more than one workplace, you must carry out an assessment for each location. The next step is to determine the total workforce so that you can provide adequate requirements for your employees at each location. First aid is all about assessing hazards and risks in the workplace and preparing for every potential incident. For this reason, your first aid procedures should reflect the nature and extent of hazards and risks in the workplace. The three levels of hazard ratings are low, medium and high. You should use the standard Assigned Hazard Rating List to assess the hazard level in your workplace. Different shifts may have different numbers of employees which would lead to different first aid requirements. You need to consider this when you plan your first aid procedures. If you have a staff clinic on the premises of your company, this reduces the risk for injured workers considerably. However, if there is no medical facility near the company, you need to consider travel time to the nearest hospital or clinic. If it would take more than 20 minutes to safely convey an injured employee to the hospital, the level of first aid service required increases accordingly. To give your workers the right first aid precautions, you must have all the necessary first aid equipment, kits, facilities and emergency vehicles in place. Based on the findings of the previous steps listed above, you must now consult the OHS Regulation and Supporting Guidelines to determine what your specific first aid requirements are. You must review the steps above any time there is a significant change in operations. You also must review your first aid procedures on an annual basis. As an employer, it is your duty to provide the required first aid procedures at your workplace. Carry out the first aid assessment and have the right program in place. Finally, conduct drills once or twice a year and ensure that the system is properly maintained. https://wssolutions.ca/wp-content/uploads/2015/11/WSS-logo-h-rgb-01.png 0 0 Deborah Kriger https://wssolutions.ca/wp-content/uploads/2015/11/WSS-logo-h-rgb-01.png Deborah Kriger2016-10-13 00:38:402017-05-17 21:50:51What are First Aid Requirements in the Workplace? I can see how first aid should be required in the workplace, no matter what kind of work it is. Like you said, you should take into account the type of work you do, and the hazards associated with that. 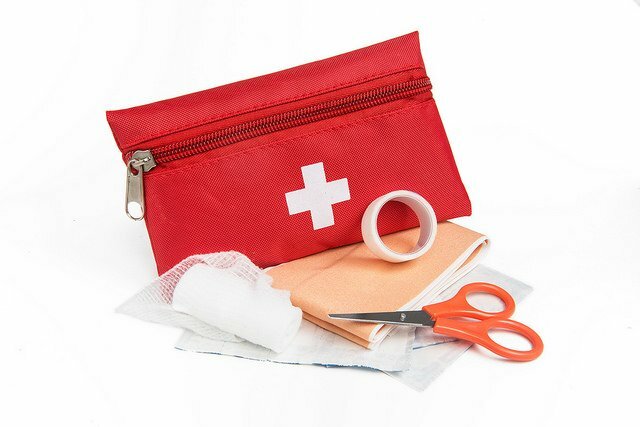 That way, you can be prepared, whether it be simple first aid supplies, to supplies for more serious injuries.